I remember learning this nursery rhyme as a child and thinking, “What a stupid poem! 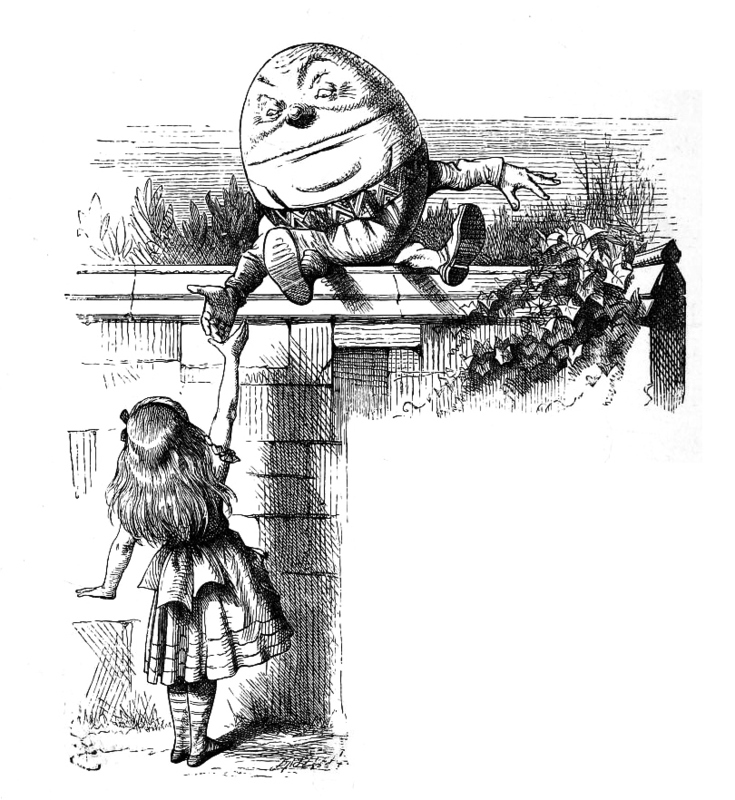 Why would Humpty Dumpty sit on a wall knowing he’s a damn egg and he could fall?” Today I still wonder this same thing but in completely different terms. Since the age of sixteen I have been a survivor of domestic violence, suffering mental, emotional and physical abuse at the hands of someone I loved. Now at the age of thirty-one I try my best to be conscious of the feelings I inflict on others. Careful not to subconsciously treat them as I was once treated. For anyone who has endured any kind of abuse [mental, emotional or physical] you understand how difficult it is to break the cycle. Once you break free from the chains that once held you captive all you want to do is run as far away as you possibly can and never look back. For some running away overshadows the healing process and you never quite heal; sure, the bruises fade and the bones mend but what about the damage that was done to your emotional self? Those are the wounds that require the most first aid. Long before our ever crossing paths, this man was irreversibly damaged, by the many women who had crossed his path before me and by his own faults. But because I know what broken and hurt feels like I wanted to mend those old wounds and keep him from falling off the wall. Not realizing he had already fallen off the and was looking anyone to put him back together again. Would you know that I hurt myself trying to put his shattered pieces back together and I myself simply became a shell of the woman who I used to be; or so I thought. We learn through trial and error that broken can’t fix broken. Two addicts can’t help the other get off their drug of choice, ours was each other. I began writing this post six months ago after only a few months of being in love with a broken and damaged sociopath. A person who without the layers of scars and ignored pain had potential to be an amazing man. It is only now that I am just able to come back and finish my story. Why? Because since starting this on February 19, 2016 at 1:37pm I was still a broken junkie chasing the ghost, wanting more and falling deeper into a rabbit hole. Like the King’s horses and all the King’s men I wasn’t able to put Humpty back together, as a matter of fact he is even more broken now than he was then. I on the other hand am not. In loving him through and a beyond his pain with no expectations of him doing the same I ultimately learned to love myself in ways that had long been forgotten. I am not sharing this to insinuate in anyway that he was a bad person, he was and still is just a hurt person who enjoys living in the inferno he has chosen to make home [Because let’s be clear we chose the projector of our own lives] Ultimately, we have to learn to love ourselves before we can ever love someone else. And for me, I just couldn’t love someone with that much pain in them. Because you love someone DOES NOT mean they deserve you. 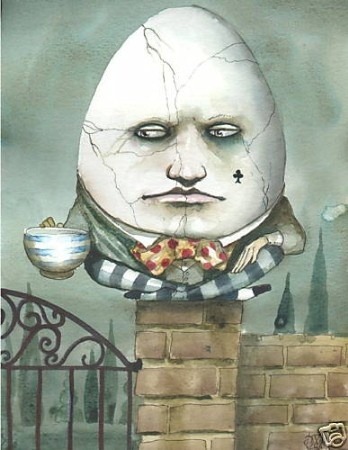 One day though, Humpty will learn how to put himself back together again, until then, he is just a pile of runny eggs spilling on to the concrete sunny side up.